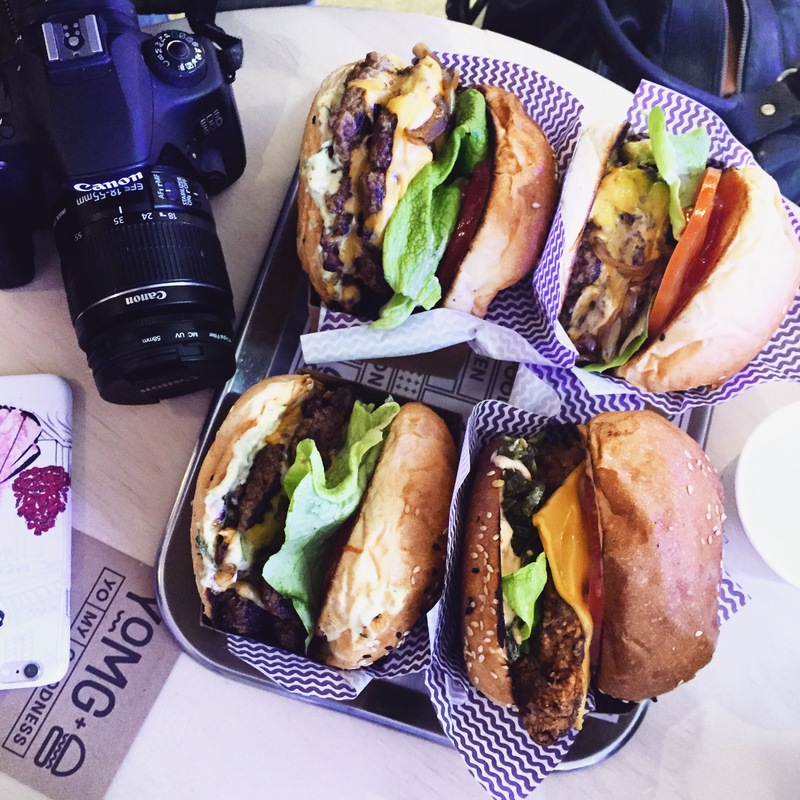 A few weeks I finally got around to visiting YOMG in Glen Waverley after drooling all over their Instagram page for months now. 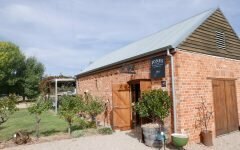 It is a bit of a trip for me to travel out that way so I was happy to hear that Collective Curators was having their bloggers lunch there so I could attend. 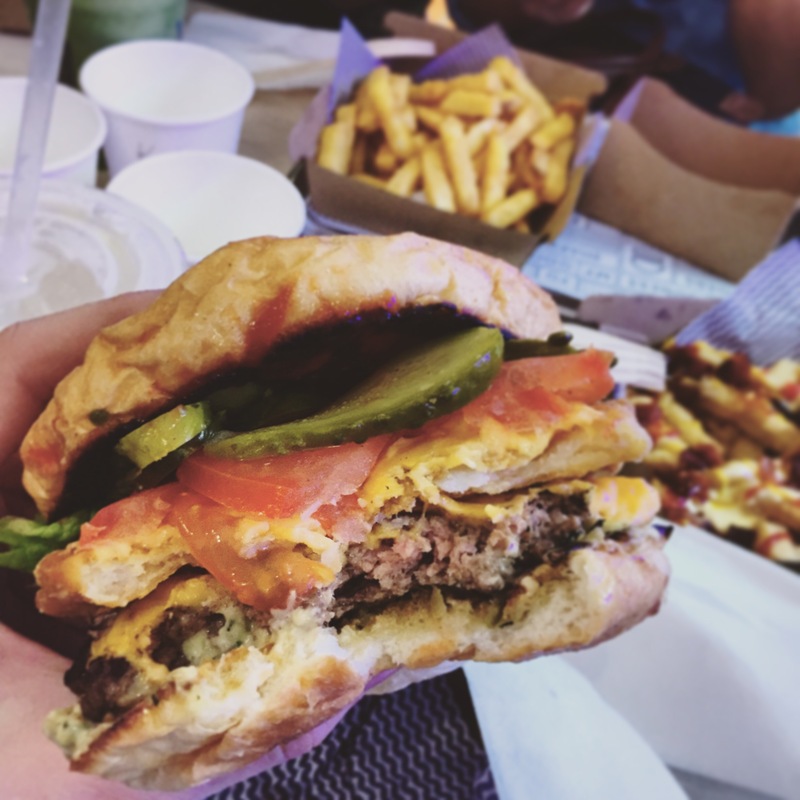 The CC girls called it a ‘Cheat Day’ but for me most days I am lucky enough to consume amazing food in some way so I went and pretended eating a burger and frozen yogurt was something really unusual for me but we all knew it wasn’t! I loved the variety at YOMG. There was sooo much to choose from- fat beefy burgers and fried chicken burgers and pulled pork and some absolutely divine sounding vego options like a potato stack burger or a garlic pulled mushroom burger. I decided to keep it relatively simple but to add my own special twist to it- I went for the Yo My with cheese, and added pickles and a potato cake, just to make it extra ‘cheaty’ and lets face it, potato cakes were made to be in burgers (the same shape, duh!). I was impressed with the burger. It was huge (great value) filled with a juicy beef patty, fresh ingredients, a crunchy potato cake and crisp pickles. The bun itself was also quality, something that is important to me- a soft brioche style bun but not as sweet as brioche. 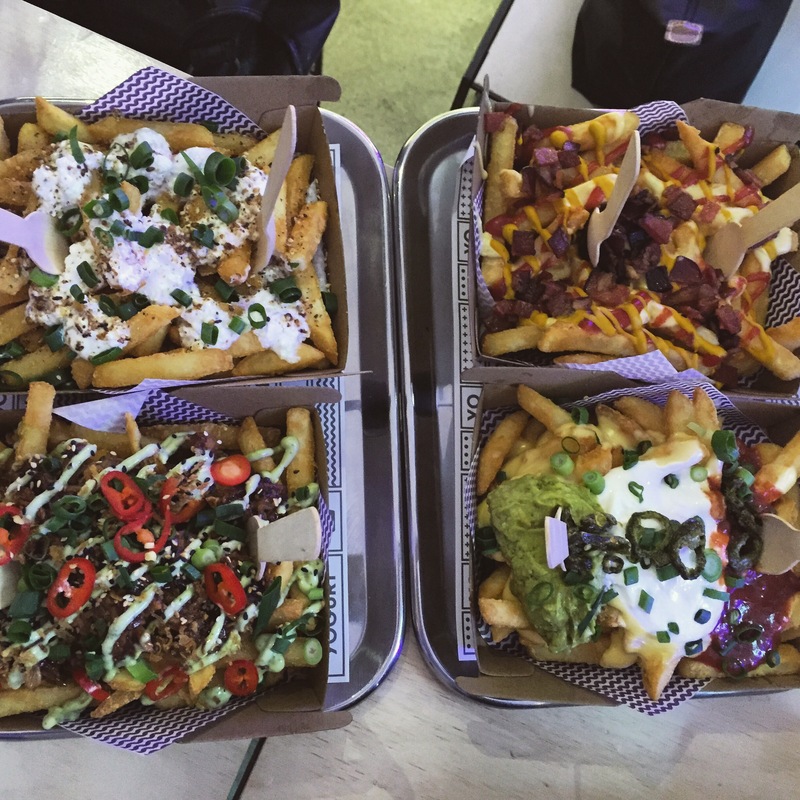 We shared a few different types of fries amongst us. If you are a chip-lover, this is your kinda hangout as they dump all different kinds of yummies on top of hot, seasoned potato pieces. Choices range from feta and rosemary (my heart still belongs to Jimmy Grants or the Greek Food truck on this combo), Shang fry (pulled pork on chips- how can that ever be wrong? ), Nacho (nacho good for your waist but pretty delicious) and American style. Honestly though, along with a burger and a shake, the chips were a bit too much for me and I prefer a burger with a smaller serve of simple fries so that the burger is always the main event. And that leads me to the shake… Wow. I think a simple menu description will be enough- Salted Peanut Butter Caramel. Yep. I know. Some flavours were just made to dance with each other in a plastic cup with some frozen yogurt and sucked through a straw. I am normally not a shake kinda gal but give me anything with salted caramel and peanut butter and you will have me cooing like a baby. I have to say after this feed I couldn’t even look at food for the rest of the day. 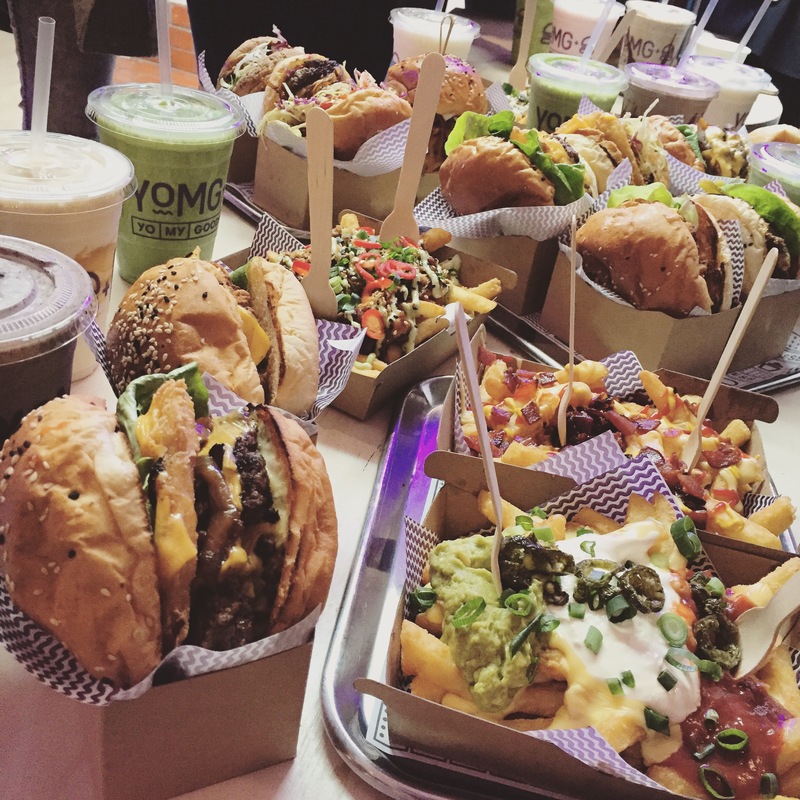 Whether you are looking for a cheat day or a regular feed, I think even the biggest burger connoisseurs would find something that would tickle their fancy and if burgers aren’t your thing, plenty of dessert options too. It will definitely have you YOMG’ing!